Our attorney, Douglas Brannon, has an outstanding record in cases involving an OVI/DUI. 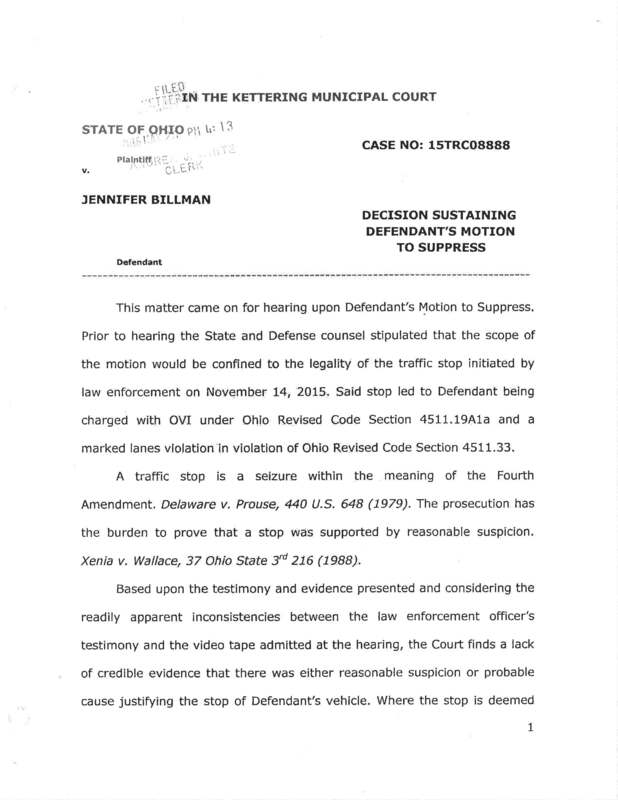 They can be very difficult to beat in court but in the recent case of State of Ohio v. Jennifer Billman pending in the Kettering Municipal Court, he successfully won a hearing on a Motion to Suppress resulting in the criminal charge for OVI/DUI against the client being dismissed. 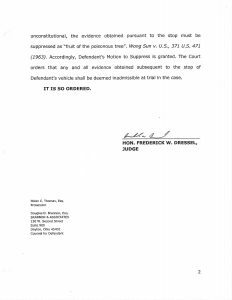 At the hearing Mr. Brannon was able to prove that the officers stop violated the search and seizure requirements under the 4th Amendment. 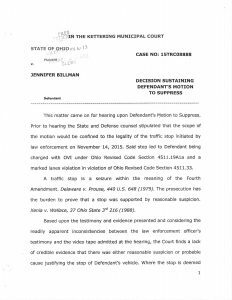 The Court found that all of the evidence pertaining to the field sobriety tests and refusal of the breath test was therefore inadmissible evidence for the police officer to stop our client. 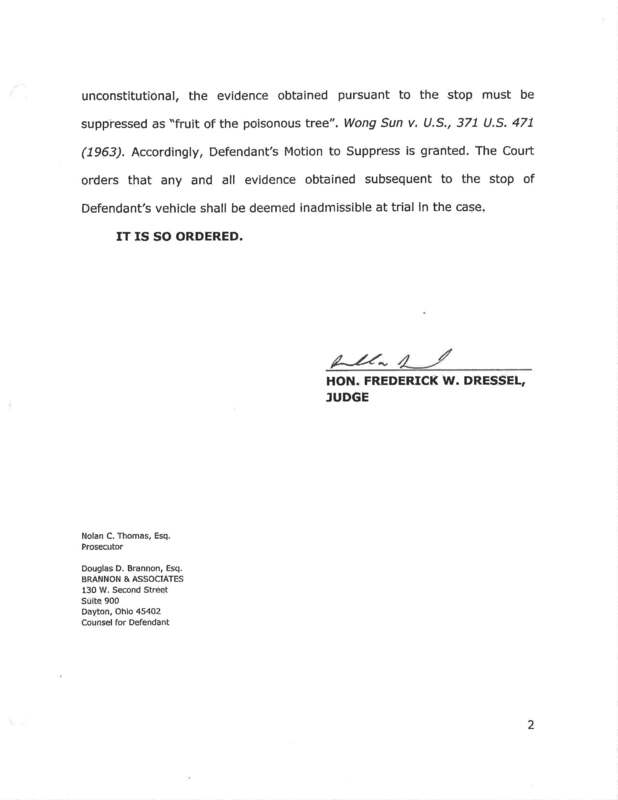 Below is a copy of the decision from the case.